I love everything about this lipstick. I think it’s an extremely wearable fuchsia (on me), which is one of my favourite colours, and it’s blue-based, so it doesn’t make my teeth look too yellow. Application is slightly dry, but it doesn’t drag, it’s just not slippy. After about 20 minutes, it’s matte and feels like your regular bare lips. Best of all is the wear time – this colour sticks around for a very long time. You might need to top it up after eating to avoid the dreaded ring, but if you’re just going about your business, you can expect this to last at least six hours (yes, occasionally I can go a whole six hours without eating!). This is probably my absolute favourite lipstick, because it is just so easy to apply and wear. Plus I love surprising people when I pull out that green bullet to top it up! 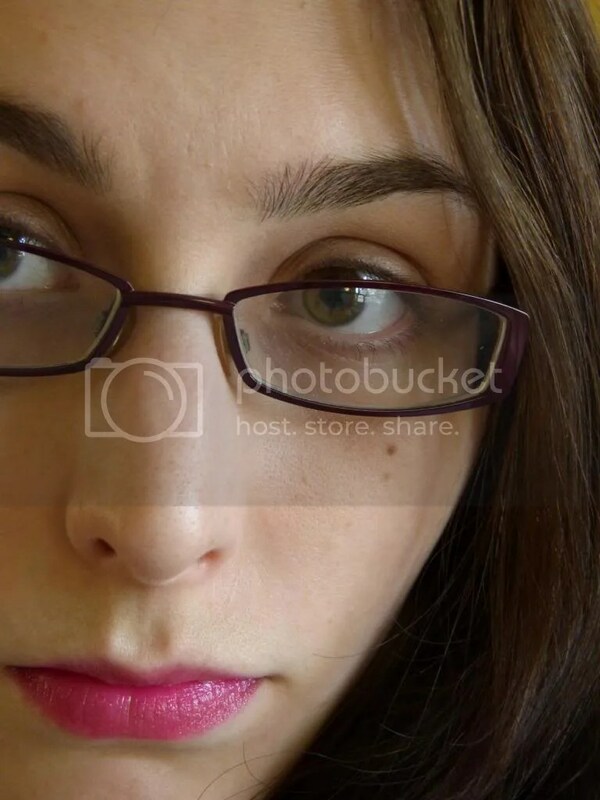 In slightly unrelated things, I think this is the first close up of me in glasses ever to appear on the blog! What do you think? 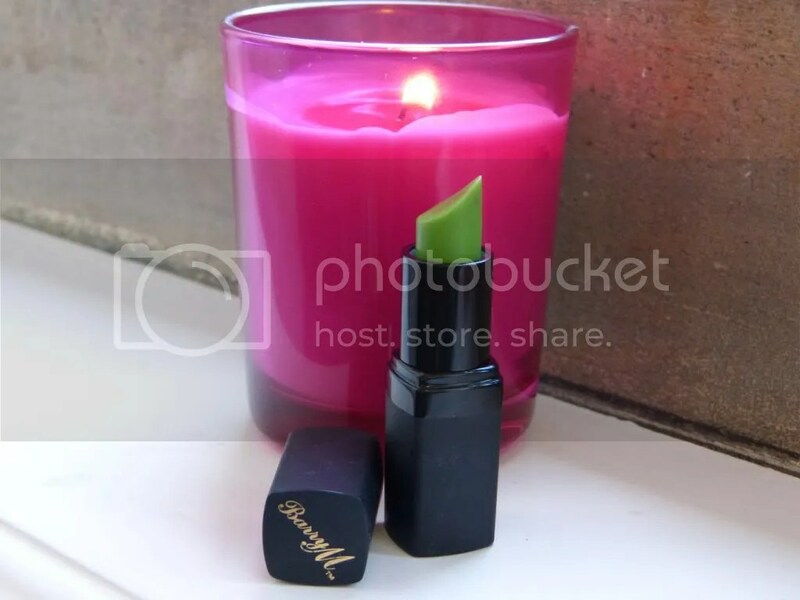 This entry was posted in Beauty and tagged Barry M, barry m tmlp, bold lipstick, bright lips, lip colour, lipstick, lipstick review, make up, pink lipstick. Bookmark the permalink. Wow I’d never heard about this lipstick, how cool! That was such a shock, I was deco expecting a bright green! Looking forward to my next shopping spree! I have a Lieole version of this and they are so handy for carrying around to add an immediate pop of colour! How does this work? It’s amazing! I think it reacts to the temperature of your lips, or the pH, or something? I’ve tried something similar with a different brand that didn’t work to well for me. Thanks 🙂 I guess there’s a chance, with colour changing products, that you won’t like the colour they eventually go! Thanks! 🙂 It’s lovely, and so cheap it’s worth trying it out! Haha, it’s brilliant, isn’t it? I’ve had this lipstick for about 2 Years now and its one i always re-buy love the colour it goes on my lips! Definite must have for all women! what could you want more than a lipstick that suits its colour to you? it goes a really deep pink for me almost a purple! but changes to me when I’m I’ll it’s quite light! Ooh, that sounds lovely! 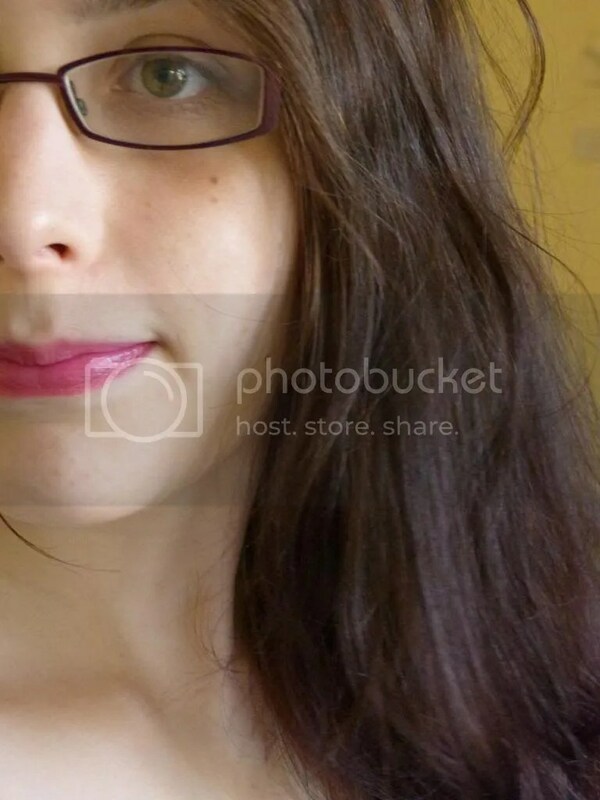 Interesting about it being different when you’re ill, I wonder what changes about your lips? I’ve always wondered that myself! might have to investigate! Ooo how awesome, how much are these ? Haha, awesome 🙂 It’s just such a good idea! 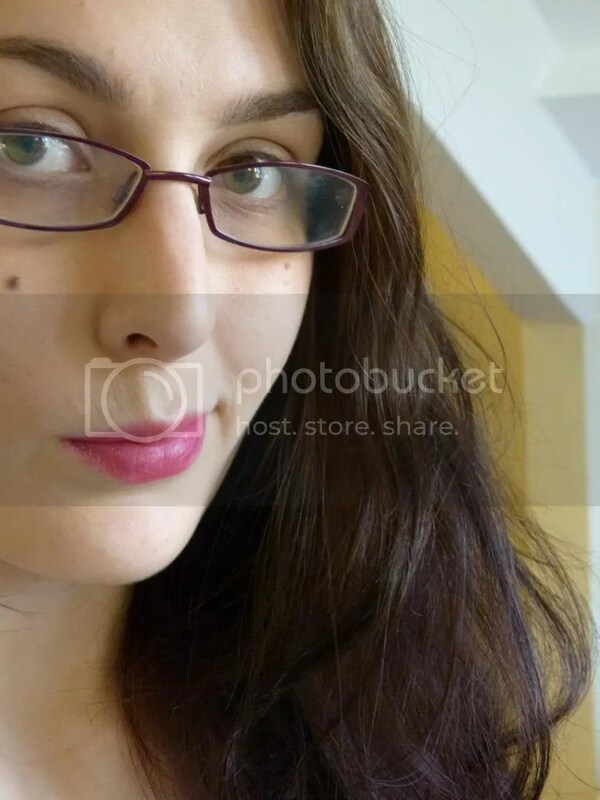 I was slightly worried as to where this post was going when I saw the green of the lipstick. What a cool concept though, I really need to swatch it to see what happens! I sent this to the Beauty Deputy in our transatlantic box swap. She was a bit unsure when she unwrapped it and found a green bullet haha. It seems to suit everybody, you look lovely! The glasses look fab btw, I like how the colour goes with your hair. Best of luck with those exams!